Recent scientific breakthroughs have made dental enhancements feasible and affordable for more people than ever before. 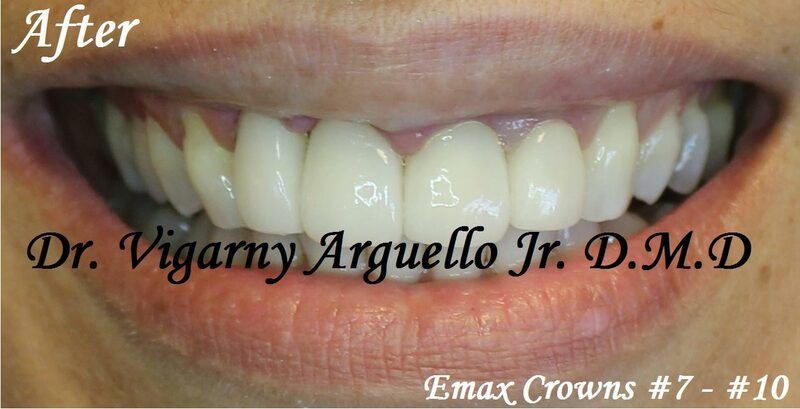 Today, at Arguello Dentistry Dr. Arguello can contour, whiten, fill, align, and even replace teeth – using advanced materials and techniques. New materials are remarkably strong and durable. In many cases, cosmetic dentistry and restorative dental treatments can be used in place of more involved and costly surgical procedures or the longer time commitment involved with orthodontics. But did you also know that a healthy, beautiful, well-aligned smile is also a hugely important starting place for a healthy body? There are many overall health issues that are related to poor dental health. Having a comprehensive exam and all your general dental needs presented to you along with your cosmetic dentistry procedures and optimal functional dental treatment options means that you are well-informed and can make a plan to achieve your goal of a fabulous, healthy smile all while taking care of your dental and overall health! Contact Arguello Dentistry to get started today to schedule your comprehensive examination and to receive a complimentary consultation to review and become informed about all your treatment options. Making a game plan can save you time, money, and years of health issues as well as help you achieve your perfect smile.